A few months ago, Diego Poza wrote an article on The 3 Best Ways To Create the Single Vision of A Customer. In it he said the number one must-have is Centralized Identity Management. He described that in Auth0, if a user signed in with their Facebook login, then their Google account next, they would have two accounts. Auth0 already provides rules for allowing these accounts to be linked back together automatically, but we're happy to announce a new option that gives the user a choice as to whether they'd like to link the accounts or not. This happens as part of our Account Link extension. It's extremely simple to set up and can save your users a lot of hassle. Let's walk through how this gets presented to your users to demonstrate how the functionality is helpful. Let's say one of your users has the email address spencer@example.com. They've used this email address to sign up for Facebook, Twitter, Google Apps, and your site. If your site offers all of these social sign in options and database users, it can be understandably hard for a user to remember what account they used to sign up for your site. Like in our example above, we'll assume that spencer@example.com signed up with their Facebook account originally, but now that they're back on the site they can't remember. They incorrectly guess they used Google to sign in. With the extension enabled, instead of being taken to your site with a new account, they are sent to a prompt from the extension, notifying them that they appear to already have an account registered with that email address on your site. The most prominent option is to continue linking the accounts. When Continue is clicked, the user will be redirected to log in with the account that's already detected on your site. Assuming their authentication is successful, they'll be redirected to your site successfully as their original account, with the new account merged in as an identity of the original. This then, conveniently, lets them sign in with either option to the same account. But let's assume the opposite for a moment: that your user has intentionally tried to create a second account with a different provider. Not a problem! They can simply click the small, diminished link saying, "I want to skip this and create a new account." and they'll continue to your site logged in as a new user under their new provider. 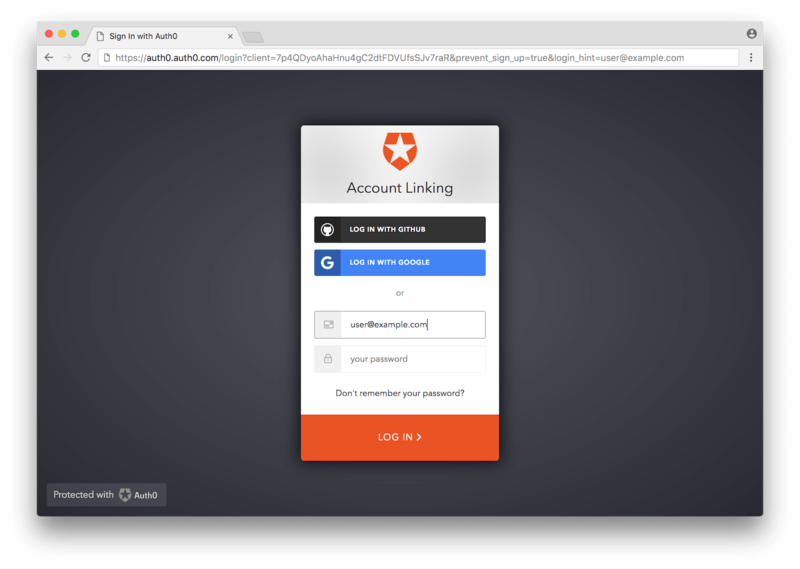 Providing the ability to link accounts through the Account Link extension makes it so your user retains a choice as to whether they'd like their accounts linked, but will encourage them to link by default since it tends to be the most common intent. You can install it from the Extensions Gallery and give your users a choice that will make their experience, and your management, easier.